Organic Benifuki is a true nutraceutical beverage above and beyond any other Japanese green tea because it contains many times more methylated catechins. These catechins are known to be effective against hay fever, eczema, runny noses and clogged nasal passages. 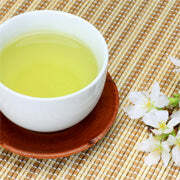 The Japanese people have wholeheartedly embraced Benifuki tea in the fight against allergies since 1993. 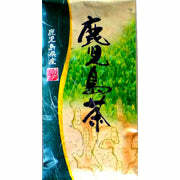 Better yet is that our Organic Benifuki green tea tastes light, refreshing and slightly sweet without any trace of bitterness. This very desirable flavor remains on the palette and doesn't change as the liquid cools. The second steeping remains mild and slightly earthy tasting while the sweetness disappears. 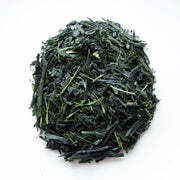 We can think of no more pleasant way than Organic Benifuki to help you maintain your good health. Organic Benifuki has been produced according to the strict guidelines of the JAS (Japan Agricultural Standard) and is certified organic.